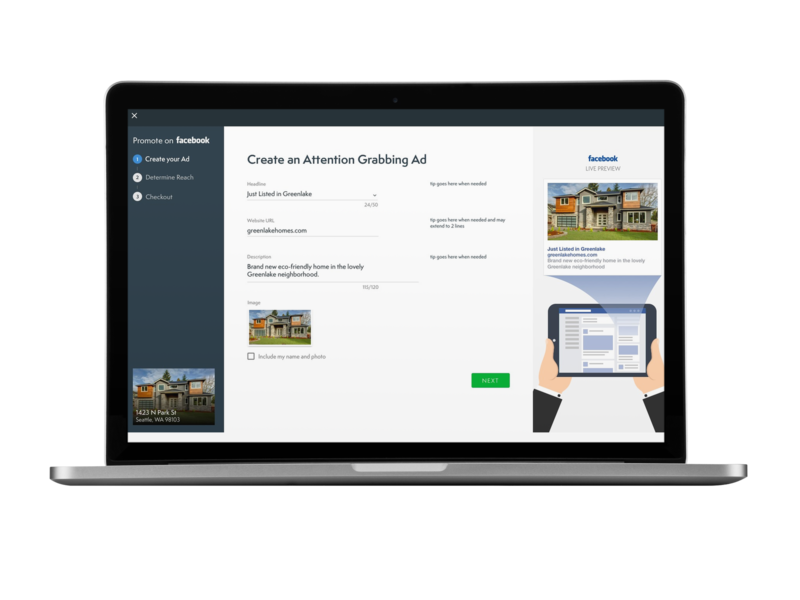 With Promote for brokerages you can support your real estate agents’ listings in a major way. This new co-marketing tool will help your brokerage retain and recruit agents with digital marketing support that doesn’t involve heavy-lifting for your services members. New! Now with Promote, ads automatically go to Facebook, Instagram, AND Facebook Audience Network, which includes hundreds of websites like CBS, Food Network, HGTV, Forbes, New York Times, Accuweather, Vogue, NFL, Men's Health, Huffington Post, and more. What tools or platforms do you use for online advertising? Choose to set one listing ad per real estate agent for the month or for a set duration. You can select certain offices, price points, or specific real estate agents to whom you’d like to extend more support. The power stays with you! Real estate brokerages can spread their brand further with co-marketing. Select your budget and parameters, and cover part of the ad cost for your brokerages’ listings. For example, pick up the tab for 20% of the spend on all listing ads. Every time one of your real estate agents opts to promote their new listing, you could cover 20% of the cost to get more eyes on your real estate brokerage’s latest listing.